On 13th March, Chelmsford Golf Club hosted the Junior Organisers meeting on behalf of the Essex Golf Union. Notes from the meeting are attached here. The 88th Annual General Meeting of the Essex Golf Union took place at Upminster Golf Club on Thursday 31st January 2019. The outgoing President of the Golf Union, Roger Walmsley (Pictured in the center on the right hand side picture)chaired the meeting at which 22 affiliated Clubs were represented. The Essex Golf Union Annual Dinner took place on the 23rd November and was hosted by Three Rivers Golf Club. It was represented by 18 Golf Clubs from around the county. Guests for the evening included, Mike Rees (President of England Golf SE Group), County Presidents from Bedfordshire & Kent Golf Unions and the Guest Speaker for the evening was Ian Richards. Click here for a selection of images from the evening. As announced at the delegates meeting, there are now 6 New Rules Workshops arranged for 2019. Click here for a list of venues and the clubs that have been invited to each workshop. On 14th November Chelmsford Golf Club hosted the Delegates Meeting on behalf of the Essex Golf Union. Click here for the minutes of the meeting. On 26th September, Chelmsford Golf Club hosted the Junior Organisers meeting on behalf of the Essex Golf Union. Notes from the meeting are attached here. The Essex Amateur Championship was played at Upminster Golf Club on 9th& 10thJune on a well-presented course with fast running greens. The 72-hole championship attracted a field of 78 of the top amateur golfers in the county, with 42 playersmaking the cut to play on the second day. 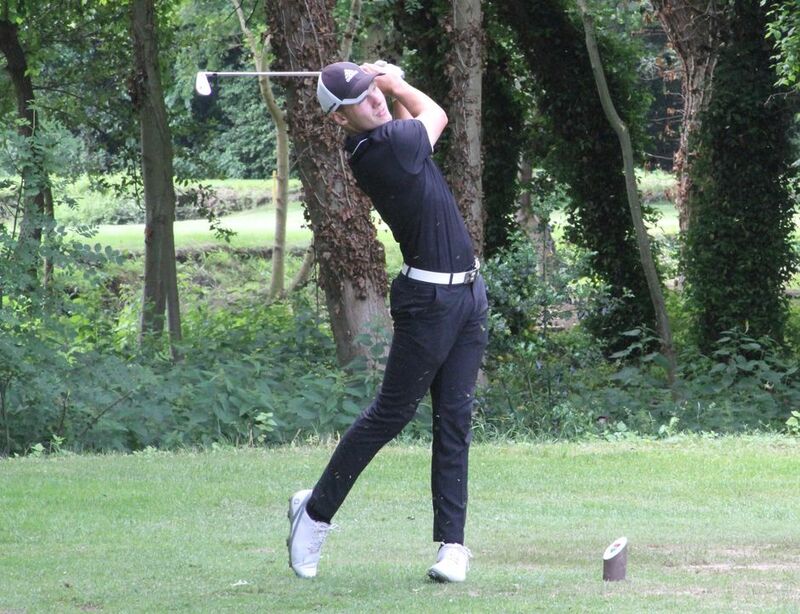 The Amateur course record at Upminster fell on the first morning when 17-year-old Curtis Knipes, of Abridge Golf Club, shot a 6 under par 63. 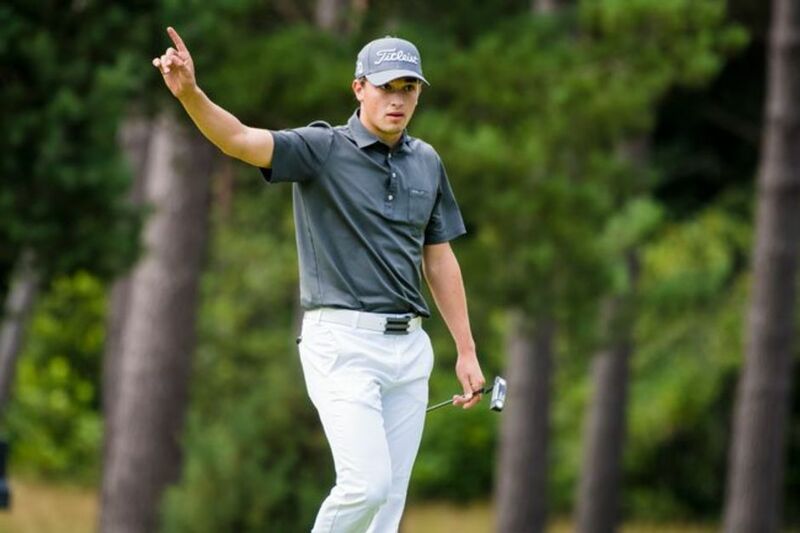 Curtis, who was defending the title he won in 2017 at Stoke-by-Nayland Golf Club, went on to secure the 2018 title with a four round total of 271, five under par, three shots ahead of his nearest challenger, Harry Butler from Chigwell Golf Club. fantastic achievement and manintaining the formidable foursomes record. On 14th March, Chelmsford Golf Club hosted the Junior Organisers meeting on behalf of the Essex Golf Union. Notes from the meeting are attached here. 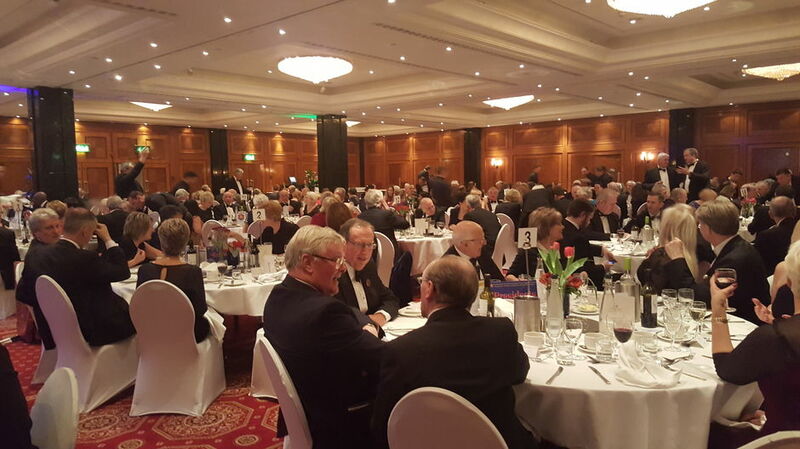 On 17th February Essex Golf Union President, Roger Walmsley, and County Secretary, Nick McEvoy, were guests of Middlesex Golf at the Copthorne Tara Hotel in London for their 2018 Annual Dinner and Awards evening. Over 250 people attended the first Dinner of the newly merged Middlesex Golf, the evening was compered by comedian Ian Irving. Roger and Nick are pictured in the foreground in conversation with Desmond Duffy, President Elect of England Golf. The 87th Annual General Meeting of the Essex Golf Union took place at Upminster Golf Club on Thursday 1st February 2018. 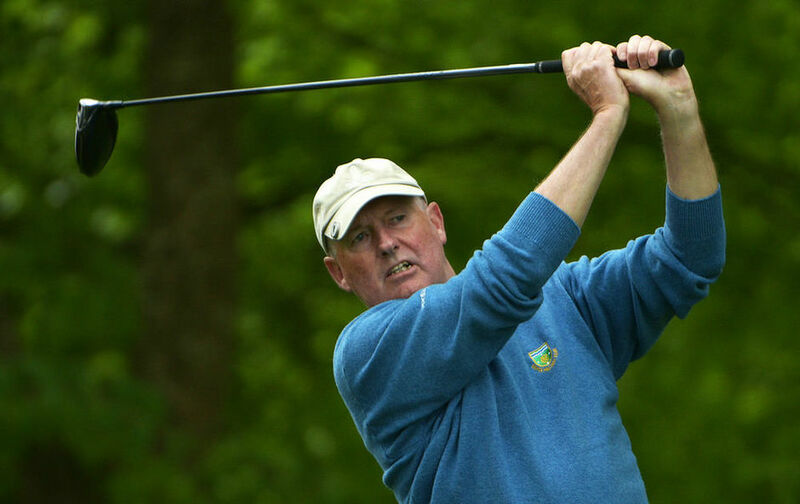 The President of the Golf Union, Roger Walmsley chaired the meeting at which 24 affiliated Clubs were represented. Roger highlighted the challenge facing the County Union and Clubs in the next few years with changes to the Rules of Golf coming into effect in January 2019 and changes being introduced by CONGU to the handicapping system in preparation for the new Worldwide handicapping system which is due for implementation in 2020.
from Boyce Hill Golf Club. Andy has been a consistent member of the County Team squad in recent years and was pleased to be taking on the role of County Captain. It is going to be a busy year for Andy as well as his golfing commitments he is due to get married in May. 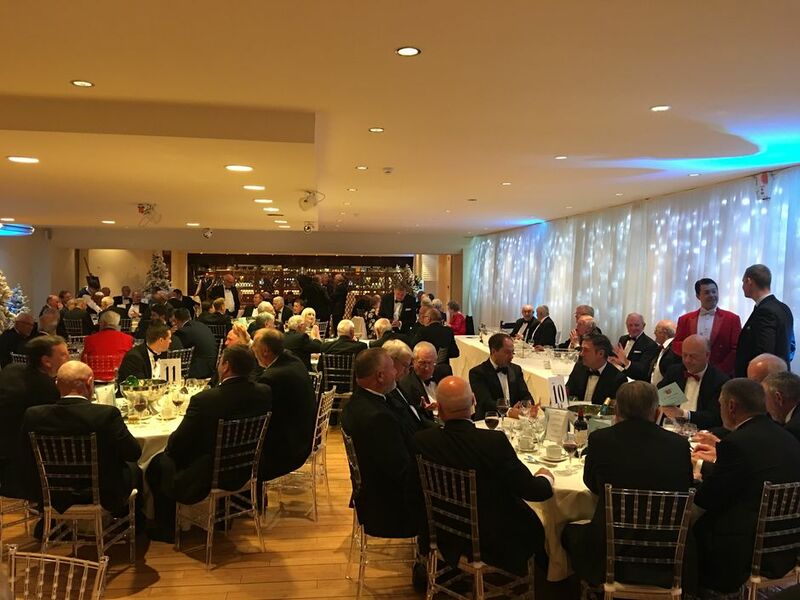 The AGM was followed by the traditional ‘AGM Supper’ meal, which gave all those attending an opportunity to renew acquaintances and make new contacts whilst discussing some of the issues facing golf today over a most enjoyable meal. 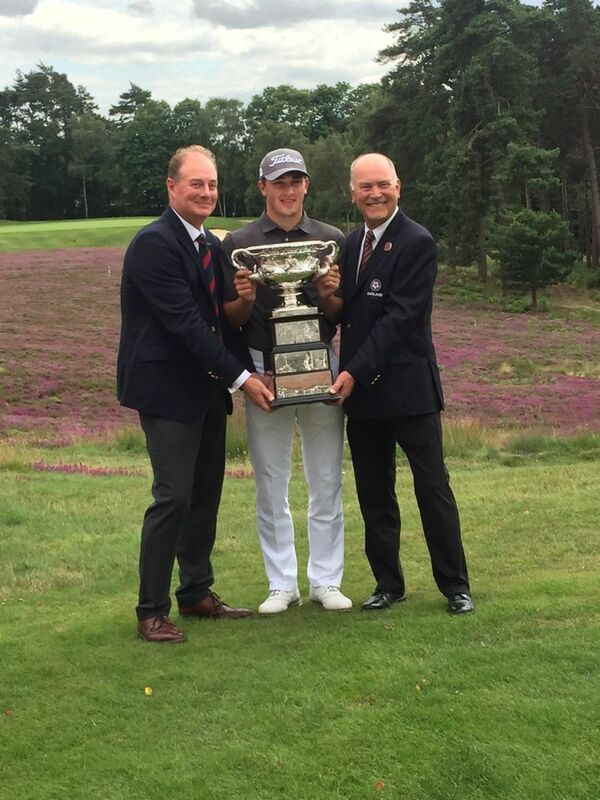 In August this year Todd Clements became only the third Essex golfer to win the English Men’s Amateur Championship, joining Sir Michael Bonallack and Craig Lawrence as the only other two previous winners. 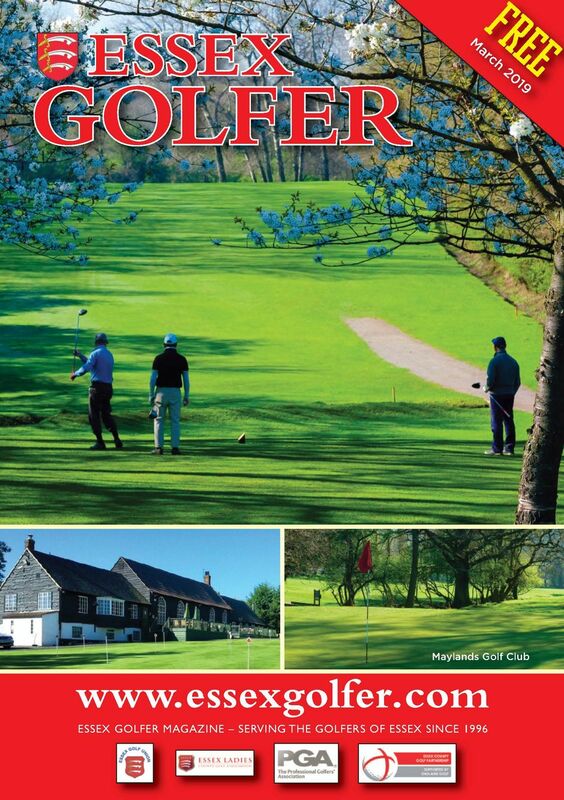 Todd, who lives in Ongar, started playing golf at the age of 12 at Colne Valley GC. By the time he was 17 he had moved to Braintree Golf Club and was playing off a scratch handicap, and having played for the Essex U16 and U18 teams, he made his debut for the Essex men’s team. He is now 21 and playing off a handicap of plus 4. This improvement in his golf Todd attributes to many factors, hard work on his game and general fitness, along with a new coach, Zane Scotland of Reigate Hill GC in Surrey, whom he met in the middle east a few years ago whilst playing golf there. 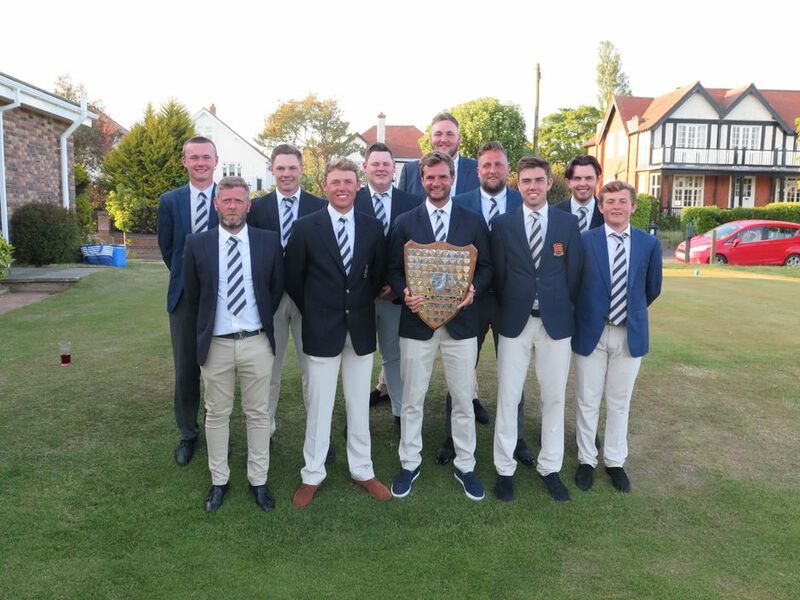 Prior to his win in August Todd claims the highlights of his playing career have been winning the Essex foursomes twice with two different partners, and Captaining his Braintree Youth Shield team to victory in 2014. 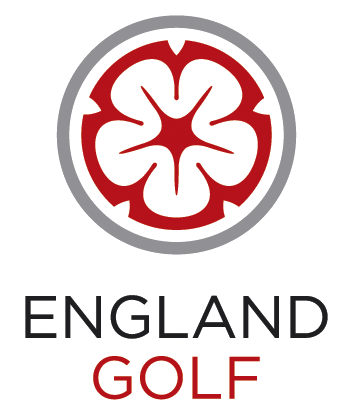 The English Amateur Championship was played at The Berkshire GC near Ascot, and started with a 36 hole stroke play competition; the top 64 players going into a Knockout phase. Todd qualified in 3rd place on 9 under par. He then played 6 rounds of match play over the next 3 days, winning 3 of the first 5 rounds by the narrowest of margins, 1 up. In the final, Todd played against Jack Gaunt from Staffordshire and after a “rollercoaster affair” finished the winner by 2 & 1, and became the 2017 English Amateur Champion. Since then Todd has played for the England men’s team in the home international matches. Of the 6 matches played, Todd won 2, halved 3 and lost 1 helping the team to second place, narrowly losing out to the Irish team by half a point. He hopes to turn professional in the next couple of years and we wish him every success in his future ventures. 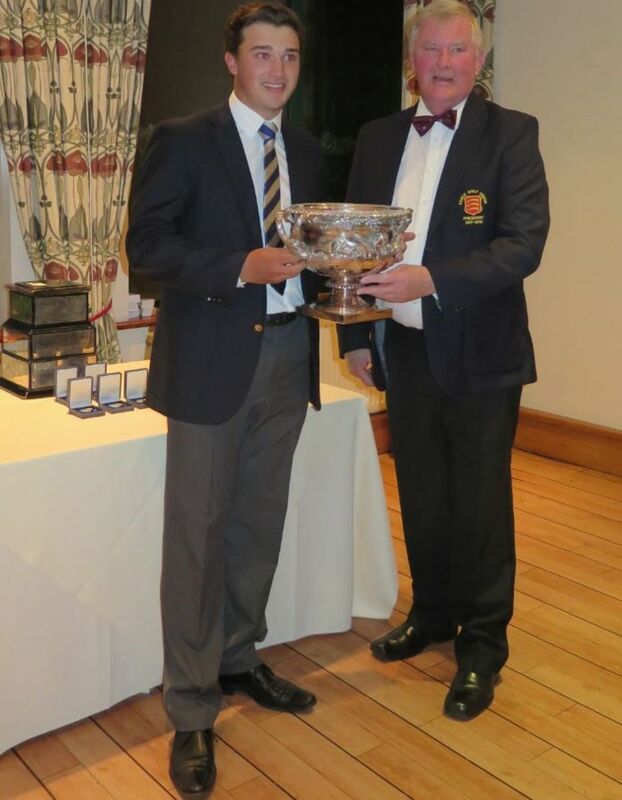 He is pictured with the English Amateur Championship Trophy after it was again presented to him at the EGU annual dinner by the president of the Essex Golf Union, Roger Walmsley. Q. What are your three favourite courses? A. Old Course at St Andrews, West Course at Wentworth, and Hindhead. Q. Who were your inspirations in golf? A. Tiger Woods and Luke Donald. Tiger being the best golfer I believe has ever lived and Luke Donald for his amazing short game. Q. If you turned Pro and made it into the Ryder Cup team, who would you most like to partner in the Foursomes? A. From current tour Pro’s, Henrik Stenson, because I’d always be on a fairway or green. From my own peer group, I’d say Dan Brown, a good friend and Home Internationals partner from Yorkshire. A. I am remaining Amateur for 2018, playing 50% Pro 50% amateur events. Off the back of my Mena Tour results, winning the amateur ranks again in 2017, Dubai World have invited me to play in the Dubai Desert Classic in 2018. Due to my OWGR (Official World Golf Ranking) I should get a start at Final Qualifying for The Open, it would be nice to make it to Carnoustie. Q. What other sports do you enjoy? I played football competitively until the age of 17 when I decided to take my golf a little more seriously. I have taken a recent interest in Long distance running and hope to run marathons in the future. Endurance running and Triathlons are also on my list, this will inevitably help me with my fitness and as a result my golf. Favourite Football Team is Arsenal. I also enjoy watching Tennis and F1. Q. If you could choose three others to make a fourball who would you choose and why? A. Tiger Woods for a start, the greatest golfer that ever lived, I’m sure I could learn a lot from him in just one round of golf. Roger Federer next as I look up to him as an outstanding sportsman that has lasted the test of time in a sport that has a relatively low career span compared to golf. Finally, Jimmy Bullard, purely for the Comedy factor, he would ensure we would all enjoy the round, what a character! The 2017 Dinner was held on Saturday 18th November at Three Rivers Golf & Country Club. Essex Golf Union President, Roger Walmsley, welcomed 140 guests and members of Clubs from around the County to a four course dinner, followed by presentations to Clubs that won the major team knockout trophies during the year, and a couple of special individual presentations. Those attending were then cordially entertained by Ian Irving, guest speaker for the evening. Roger was joined on the top table by Mike Rees, President of England Golf South East Group, and a number of fellow Presidents from counties bordering Essex and from around the south east of England. During Roger’s speech he announced the 2017 Essex player of the year award, which this year was presented to Mark Stones (Boyce Hill). Mark has been a key member of the Essex Seniors team for the last few years, the team being undefeated in their 2017 league fixtures, retaining their South-East Foursomes title, and Mark also represented England Seniors in the 2017 home internationals and Seniors European Championships. The dinner also provided the opportunity for the County to acknowledge the achievement of Todd Clements (Braintree), who in August won the English Amateur Championship at The Berkshire Club. Todd received a standing ovation from all those attending as he was re-presented with the English Amateur Trophy by Roger Walmsley.